Thanks for your comments and beautiful photos. Congratulations for so much talent for photography with falcons in action! I really enjoy your photografy! 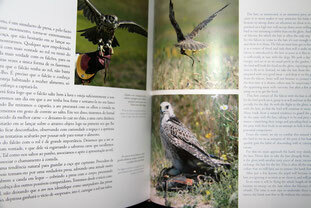 Thanks again for the old pictures you let for my new book of falconry, I believe it will be a beautiful book! Your photos will appear alongside other international photographers. Born in Lisbon. He has a degree in historical sciences and has been professionally connected with falconry for more than twenty years. He lives in the Alentejo and is passionate about the countryside and nature-conservation issues. He was sixteen when he had his first experience with birds of prey, and since then he has bred and trained a considerable number of species, providing him with most interesting experiences and a long learning perion devoted to the study and knowledge of this art. 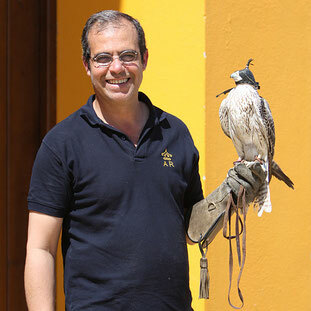 He is a member of various socio-professional assocations in the sector and was one of the founding gruop of the Portuguese Falconry Assosation (APF) and of the National Game Producers Association (ANPC). 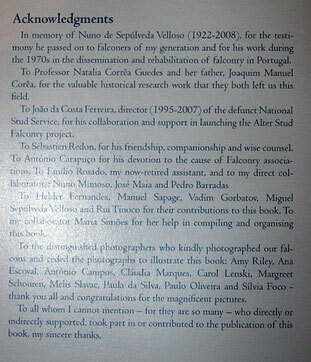 During the 1990s he was a member of the National Game and Wildlife Conservation Council an Portuguese delegate of the International Association for Falconry and Conservation of Birds of Prey (IAF). 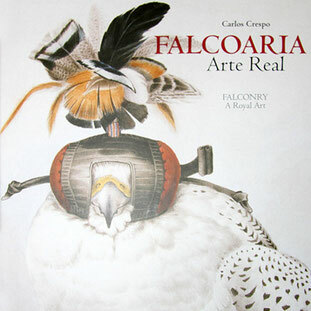 He foundes the Alter Stud Falconry (1996) and has collaborated in this field with many other public and privat institutions. Bildmaterial im Buch, neben anderen internationalen Fotografen, von Carola Lenski.